I wrapped up last week visiting with several Champaign County Municipal Leaders to discuss issues that are important to the area’s smaller communities. We have many issues facing small communities in this State, but I will make sure we keep having these productive discussions and work together for all of our communities in the 104th! This week began at the University of Illinois with several other area Representatives and Senators. We were asked to attend a tour and visit with the University of Illinois Chancellor, Robert Jones, and some of his amazing staff! There was a great presentation on the University’s future, which highlighted many goals and areas such as cutting edge integration between high level programs in the College of Medicine and the College of Engineering. They highlighted their Illinois Commitment and Aim High programs, and then we had a lively debate on how to increase accessibility, particularly for Illinois residents, and the admissions process. Although there wasn’t complete agreement on all the issues, the University officials appreciated the comments offered during the productive discussion. The remainder of the day was spent touring some of the impressive University facilities. Even though I grew up with the U of I in my backyard and had many friends and family attend, it is always so cool when given the opportunity to get an up-close view of the wonderful research and teaching facilities that we have to offer here! 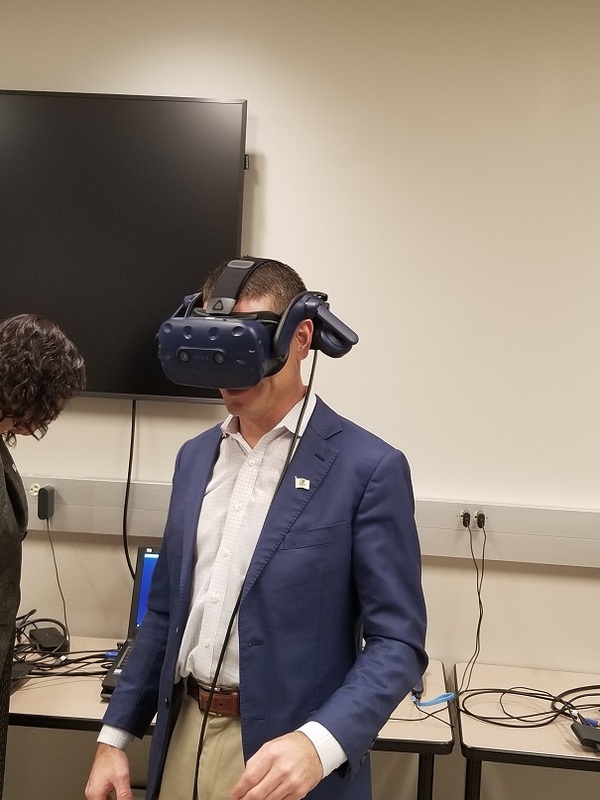 Learning about life changing technologies and business innovations coming from the University’s Research Park gives me confidence that this area could easily lead an economic revitalization for our State. The University, despite some challenges it faces, truly is a gem for our area. Require Committee votes for bipartisan bills. – Currently, any legislation brought to a vote in committee is under the complete discretion of the Committee Chairman who gets his or her marching orders from the Speaker, regardless of how many members are sponsoring the bill. Our caucus is asking that if a bill receives five cosponsors from both parties that it will automatically get consideration from the committee. Create a waiting period for floor amendments. – A bill can be sponsored by a Senator, pass out of the Senate with bipartisan support, and then the language can be completely gutted and replaced when it comes to the floor of the House through the amendment process, completely changing the purpose for the original bill. Sometimes the bill now doesn’t even address the same subject matter that the original legislation did. The new amendment sometimes could be hundreds of pages long. This leaves scant time to read and analyze the bill and how it may affect our State. Create a waiting period after committee testimony. – Literally thousands of pieces of legislation are filed in every General Assembly. Once a six-day posting period occurs, the chair of a committee can call any bill that will come before that committee. The committee chair can then arrange whatever witnesses and people to give impassioned and maybe biased testimony without giving any notice to the minority members. With hundreds or maybe thousands of potential bills that could potentially be called it is virtually impossible to arrange testimony from a competing viewpoint. Voting can then commence without time for emotions to cool off or the ability to research the viability of witness testimony. Require a House Vote for bills supported by a bipartisan supermajority. – Provides that a motion signed by 71 members guarantees a vote of the House on a bill or resolution. Extend time for the House to consider motions to discharge Standing/Special Committees. – Provides that for six session days after the committee reporting deadline the House may still consider motions to discharge from standing or special committees. These much-needed reforms make sense and would empower the entire body to do good work for the entire State. Unfortunately, despite a valiant effort on the part of our members and some irrefutable debate points, our efforts found little sympathy with the members on the other side. 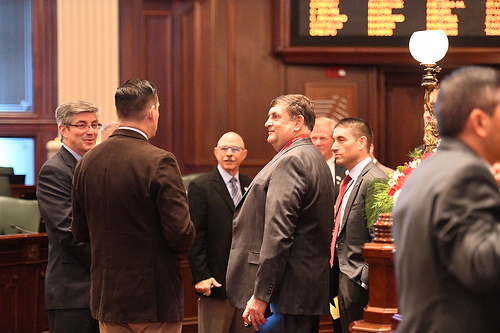 Hopefully we are more successful in telling the story of what we are up against to you, the voting public, that need to know what happens in the Illinois House of Representatives. 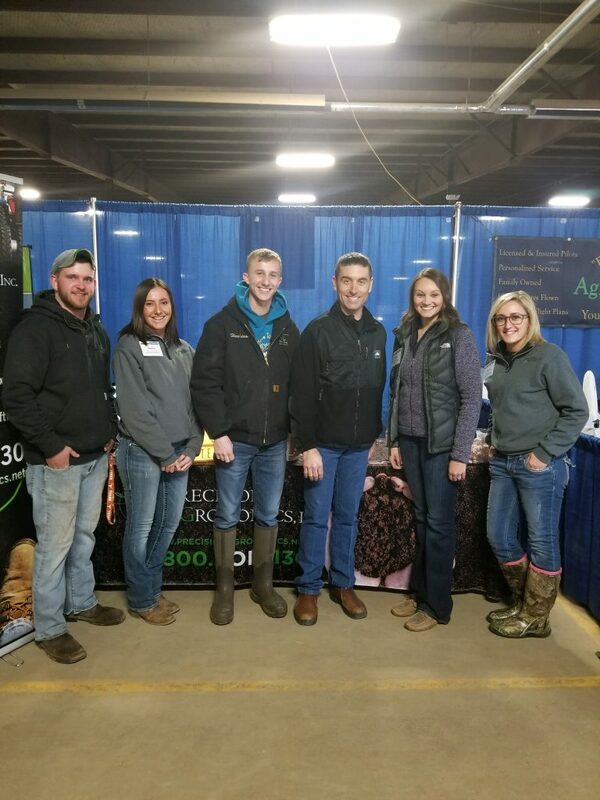 The final two days of Session was cancelled due to the severe cold, but I did not get out of town without stopping by the Illinois Pork Producer’s Expo. I will not miss an opportunity to show support for our most essential industry in Illinois: Agriculture. Pork producers represent an important element of Illinois Agriculture, and the Livestock Industry presents a great economic opportunity for the State of Illinois. One good thing came with this cold weather: I got to come back home a little early to be with my family! It, also, offered an opportunity to brave the cold and venture out to the Gordyville Farm Show in Gifford, IL. The farm show was a great highlight of my week! I spent the day speaking with Farmers and had the opportunity to learn and view the latest business and machinery innovations in Midwestern Agriculture. Agriculture has always been a passion of mine, and it was my life before politics and government. I will never miss an opportunity to get back to my roots and support our number one industry. The book ends of this week truly left me in a hopeful mood. The University of Illinois and our Farmers represent two of the 104th greatest strengths. Despite the frustrating challenges in Springfield, these two wonderful assets welcome a bright future for the 104th. It’s an uphill battle, but those are the ones worth fighting for. We’ll keep on fighting. 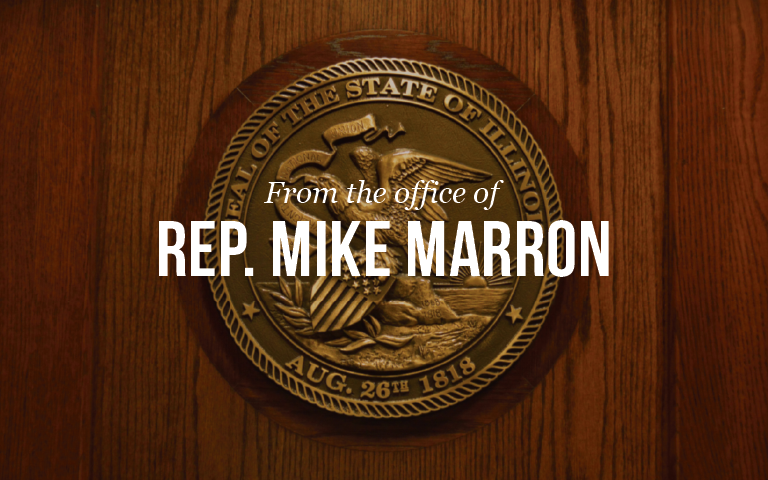 Thank you, as always, and please reach out if you have any comments or thoughts at my website: http://repmarron.com.